Openly Gay Billy Eichner Partner | Who Is Comedian's Boyfriend? Home » Entertainment » Openly Gay Billy Eichner Partner | Who Is Comedian's Boyfriend? American comedian Billy Eichner, who came out as gay a long while ago, spilled the tea about his dating status and his on-screen boyfriend. 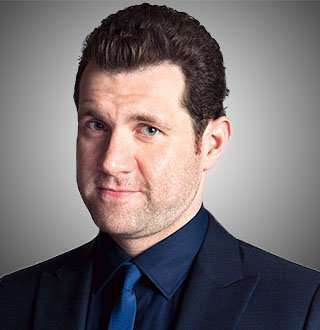 Billy Eichner is best known for presenting the Funny Or Die’s comedy game show, Billy on the Street. He is also famous for starring alongside Julie Klausner in the Hulu original series, Difficult People, which first aired in August 2015. Billy also played the role of Craig Middlebrooks on the American sitcom, Parks, and Recreation. In 2013, Billy was nominated for Outstanding Game Show Host for a Daytime Emmy Award. Born on 10 September 1978, Billy was raised in New York City, US. He graduated from Stuyvesant High School in 1996, and in 2000 he graduated from Northwestern University majoring in Theatre. The 39-year-old host returned to New York City to undertake a career in comedy, eventually gaining eyes on himself as the writer and host of Creation Nation: A Live Talk Show, a comedy-concert variety talk show that was introduced in 2006. Grasping a special correspondent’s gig on Conan, Billy started appearing on shows like The Wendy Williams Show, Watch What Happens Live with Andy Cohen and Last Call with Carson Daly. After a series of successful introductions as a comedian loved by the public, Billy started his comedy reality show, Billy on the Street in December 2011. The show follows Billy going out to the streets and asking random people questions about pop culture. Being an open gay, Billy didn’t have much hard time to accept himself and come out to his family as they supported him quite a lot. When everyone asks me, was it a conscious choice to be out of the closet as a comedian, I was like, I don’t know. Was it a conscious choice to be white? I don’t know. The actor has mentioned quite frequently about how he wants to be a mainstream gay comedian like Ellen Degeneres. Billy also doesn’t have a problem with showcasing any steamy gay scenes on-screen as well. In season three of Difficult People, there was a scene where Billy made out with John Cho in the streets of New York. Billy Eichner & On-screen Partner John Cho Dating? Billy Eichner has never shown much hesitation while revealing about his personal life. And looking at his onscreen chemistry in the American series Difficult People, fans speculated that Billy might be living a happily dating life in his real life as well. The intimate scene of Billy and John Cho making out in Difficult People was a real treat for the fans. That led to the ever so common assumption of the on-screen gay partners to have become a thing in real life. Well, unfortunately, the two didn't progress their on-screen relationship to life. Nor have they been seen together that could lead to any wrong premise. Apart from the speculation of Billy and John dating for real, there have been rumors surrounding Billy’s possible love interest, his college roommate, Robin Taylor. Former Roommate Robin Taylor Turned Boyfriend? Billy and Robin met at Northwestern University in their sophomore year. The former roommates came up with the idea of their talk show Creation Nation based on comedy in their loft. The two have a deep bond shared from a long-term friendship in New York, one being the quiet closeted gay boy and the other being a louder closeted gay guy. They did almost everything together from going to gay bars at night to spas every week and attending random parties. In nytimes.com, Robin mentioned how he wanted to give Billy a connection to love and family, wanting to be a constant in his life. As much as the two love to gushing about their connection, they’re nothing more than friends, who love providing each other the needed support. And on the whole topic on Billy dating anyone, he is not hesitant to confess that he uses popular dating apps like Tinder, Grindr, and Bumble. Taking that confession into account, there’s no doubt that Billy is still single and is searching for his right partner.